Diesel stigma is strong in the U.S., now more than ever. It's dirty. It's expensive. It's a mindset that Americans can't shake. But if anyone is going to clean up diesel, it's going to be BMW. It's time to come clean. CLEAN TWEETS TWITTER CAMPAIGN: To further the BMW "Clean Diesel" concept, we created a social campaign to clean up the Twitterverse using the handle @BMWCleanTweets. We scrubbed Twitter to find the dirtiest tweets and then we cleaned them up. People could also submit their own using the #CleanThisTweet hashtag. 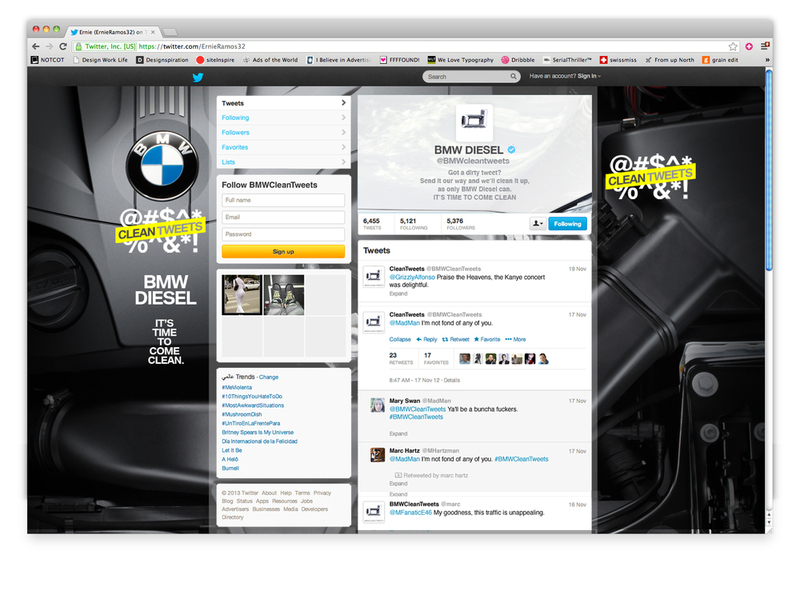 On a BMW microsite we highlighted the best "before/after" tweets. 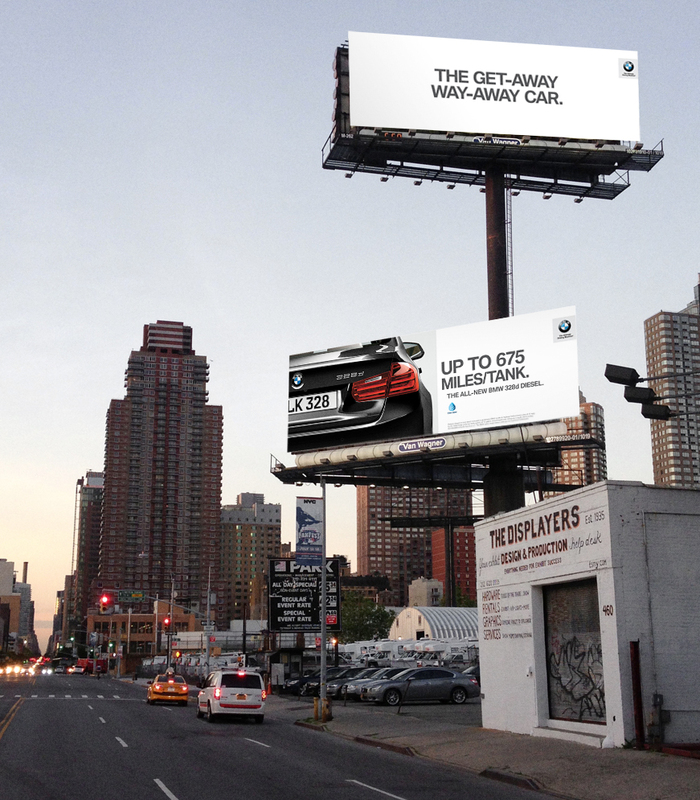 Content was also curated for banners, pre-roll and digital displays in BMW Centers. To help dispel common myths about Diesel and continue the conversation, BMW teamed up with 4 bloggers: The Next Web (tech), The Coolist (cultural), Inhabitat (design), and Say Yes To Hoboken (moms). They all drove a BMW Diesel for a week and documented their experiences on their blogs, websites and Twitter feeds.